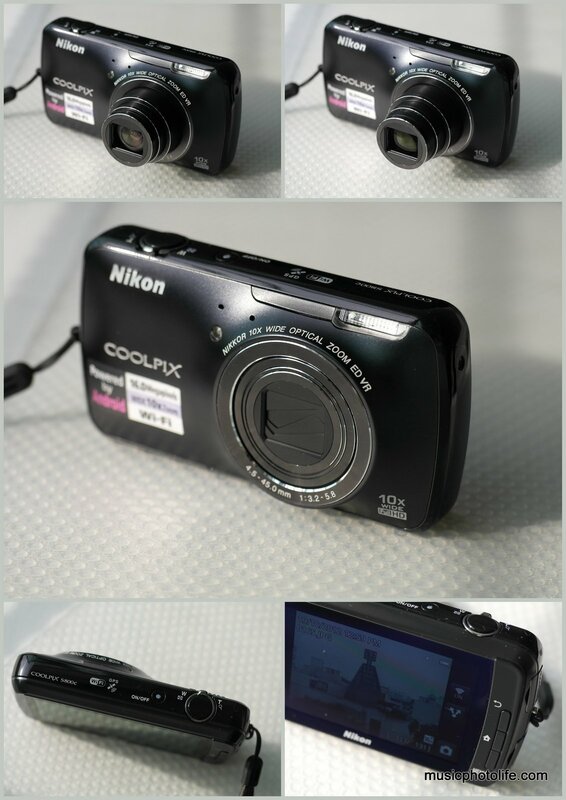 The Nikon Coolpix S800c is an Android-powered compact camera that treads on the 2 worlds: the compact camera realm and the Android device domain. The great part is that the camera handles both aspects pretty well. While it is not a fantastic camera nor a blazing Android device, it offers a glimpse of mind-bending potentials of converging multiple devices. Heads turn when I showed them the S800c and what it could do. I mean, who would have imagined a compact camera that can browse the Internet or play games or read emails? It’s not any bigger than any compact camera in the market. The size makes it rather handy to use the Android mode. Image quality is above average compared to most compact cameras. High ISO, although lacks details, are processed to eliminate image noise and thus usable for web use. This is better than having images that are full of chroma noise. The camera lens extends and retracts speedily. Wide-angle 25mm to 250mm zoom range. Fast AF and shutter response, especially in high continuous shooting mode. Rather responsive Android interface when doing normal tasks. Some processor-intensive apps might take longer to load. Ease of capturing images using third party camera apps (like Retro Camera) in a camera form factor. Note that the optical zoom will not work on these apps. The convenience of using Android apps on a compact camera. 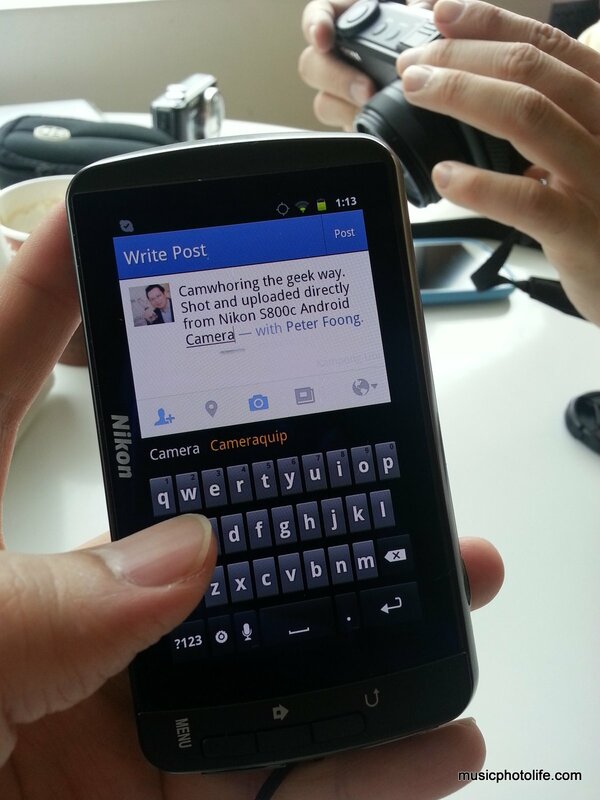 I can do almost anything that I do on a normal Android phone – Facebook, Twitter, Gmail. After taking a 16mp image on the S800c, I can edit it and share it. I can play music tracks while taking photos. It might sound silly but hey, that’s an option. When you start to do video recording, playback stops (naturally so!). Use any Android camera app to shoot with fast AF and shutter response! Outdated Android OS 2.3.3. Popular apps like Instagram and Chrome browser do not support the Gingerbread OS. 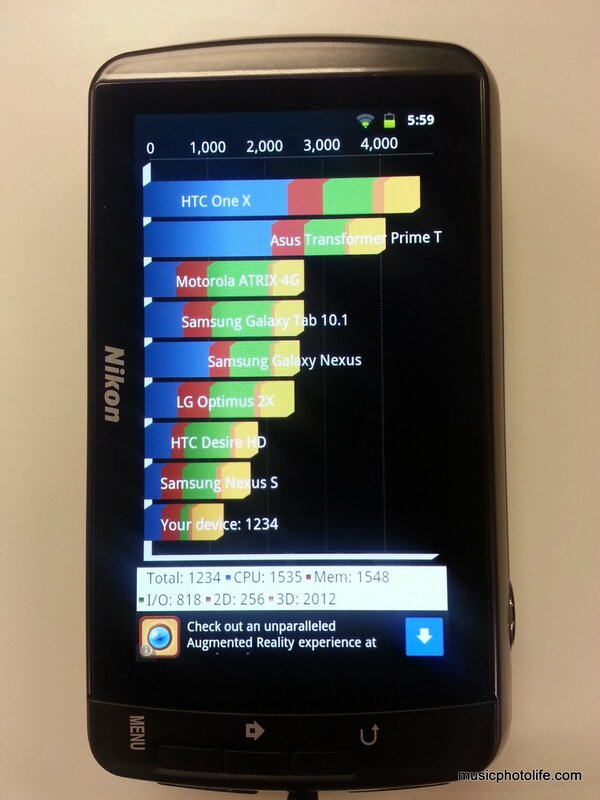 The camera is primarily an Android device in a compact camera form factor. There is no direct camera button to activate the camera function quickly when the camera is in Android mode. The camera mode doesn’t offer a lot of functions that are available in most Nikon compact cameras. Only 10 Scene modes, 5 special effects, no PASM modes. Toggling between camera playback mode and capture mode takes a bit more time, because they are effectively 2 independent apps written in Android OS. There is no volume buttons. So you cannot adjust volume easily while running Android apps. You can’t use the camera when charging. If you cancel the charging message when the cable is plugged, the camera will be turned on but it will not charge, nor can you turn off the camera until you unplug the cable. The Wi-Fi function seems to have compatibility and stability issues during my review period. Oddly, the camera does not detect my home network D-Link access point N-router. The battery drains rather quickly when using the Android mode extensively. Poor speaker quality, no worse than most compact cameras in the market. I haven’t seen such low benchmark scores for a long time. I admit I was pushing the camera a bit hard when reviewing the S800c. You can’t blame me: the materialisation of an Android-powered compact camera is a camera geek’s dream.With converged devices like the Nikon S800c, photography enthusiasts can have our cake and eat it. And frankly, I have never had so much fun with a compact camera for a long long time. I really enjoy using the Nikon S800c and I don’t feel at all uncomfortable using the Android apps extensively on the responsive touchscreen. Yet, the S800c has not reached its destination. It runs on an older Android OS which doesn’t support some popular social apps, and makes the Android experience less satisfactory. The recent announcement of Samsung Galaxy Camera overshadows Nikon’s first mover advantage. The Nikon Coolpix S800c has shown us that it is now possible to hope for the unthinkable, to build multi-function devices in a small form factor. This article is also published on XINMSN. 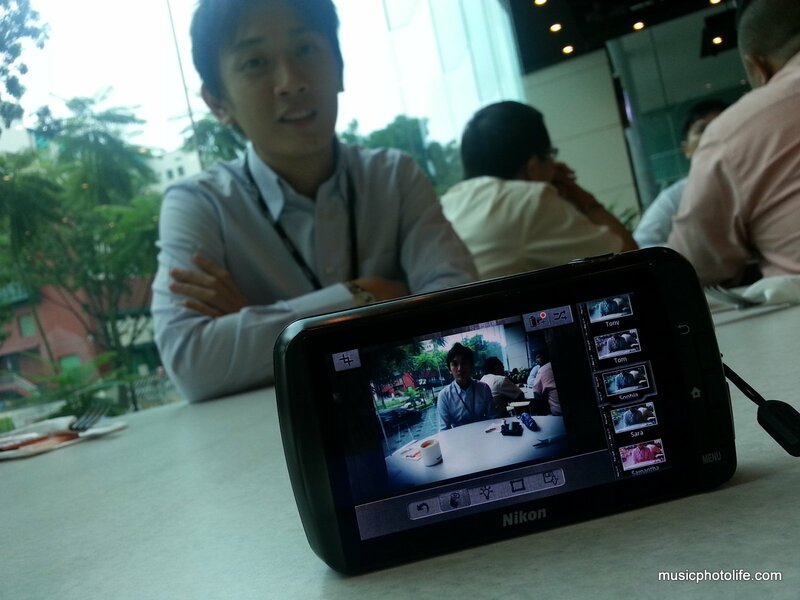 Pingback: Samsung Galaxy S4 Zoom: Quick Look – Music.Photo.Life.